Soon to be the 43rd host of the Ryder Cup, the Straits course at Whistling Straits is one of the most picturesque courses in America. 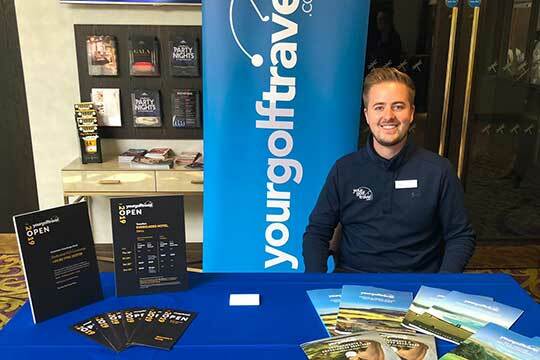 Here at Your Golf Travel we offer you the chance to be there live and experience all the drama of a Ryder Cup unfold right in front of your eyes. Travelling stateside to watch golf’s most exciting team event is sure to be something on every golf fanatics bucket list and with our packages including transport, hotels, tickets and transfers doing so has never been easier. The Straits course is no stranger to the limelight having played host to the US PGA Championship on 3 separate occasions with Jason Day reigning supreme last time round in 2015. Regarded by many as one of the toughest courses in America, every facet of the players’ games will be tested with many holes setting up perfectly for matchplay golf. Whistling Straits is located just a 15 minute drive from the tourist hotspot of Kohler where there is plenty to do away from the course. In addition to this, the town is on the banks of the beautiful Lake Michigan and with temperatures topping 70°F (22°C) September it is a wonderful spot to soak up some sunshine. With Milwaukee airport just an hour away transport time is kept to a minimal and this is the same for the hotels we offer too. With our dedicated team of experts to advise, guide and plan your dream Ryder Cup Experience, there’s no need to lose sleep. Whistling Straits is located in the heart of the world famous North American Kohler Resort, Wisconsin. The nearest major city to the course is Milwaukee which is renowned for its role in the world’s beer industry and is home to a number of fantastic breweries. There are also a number of incredible restaurants that showcase the very best of American cuisine and are a great place to enjoy your evening after a great day at the golf. The 43rd Ryder Cup will not be one to miss for any golf fan as Europe look to right the wrongs from their last trip across the pond when they lost 17-11 at Hazeltine in 2016. A trip stateside to the game’s biggest team event is on every golfer’s bucket list and in 2020 Kohler and Whistling Straits have everything you could want to have the trip of a lifetime. The region lives and breathes golf with the Straits Course having played host to no fewer than 3 PGA Championships, 2 US Women’s Opens, US Senior Open and of course now the Ryder Cup. With a number of America’s best golf courses in such close proximity, golfers are advised to take their clubs with them as your Ryder Cup adventure can include some fantastic memories outside of the actual event as well. The Straits Course is at the forefront of golf at Destination Kohler and is one of the most iconic courses in America. Having been designed by one of the greatest modern day architects, it comes as no surprise that it is not only one of the most aesthetically pleasing courses in the world but also one of the best golfing layouts. Pete Dye is renowned for carving glorious golf courses out of incredible natural landscapes with his Teeth of the Dog course at Casa De Campo being just another feather in his cap. 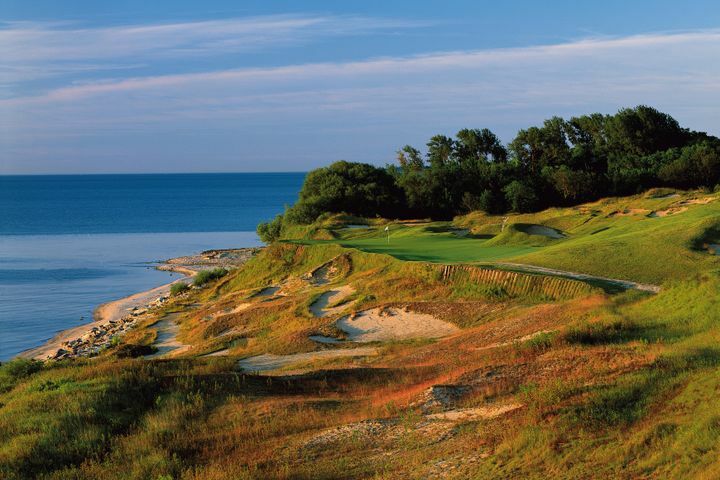 The rugged and exposed nature of the banks of Lake Michigan give the course a distinctive links accents. With long wispy rough and vast areas of sandy wasteland the course is reminiscent of some of the UK’s best links tracks such as St Andrews and Royal Portrush. Similar to its Scottish and Irish counterparts, the Straits Course has an illustrious history of hosting a number of major golf tournaments. Most recently, the world’s best battled it out for the 2015 US PGA Championship which saw Australian Jason Day eventually reign victorious having held off current world number Dustin Johnson. Day’s maiden major victory was emphastic to say the least as he set a 72 hole record for a major championship with a winning score of 20 under par. Many view the Straits Course as one of the finest in America with its undulating fairways, abundance of water and punishing rough. The pros will need to be on the game in order to get the all important point out of their match. What you need to know about the 2020 Ryder Cup? 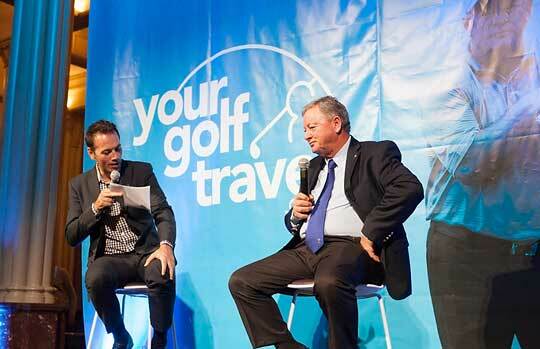 Geting to the 2020 Ryder Cup will always be an easy process when booking with Your Golf Travel. If you are travelling from outside the states you will land in Chicago International Airport which is 1 hour from the Milwaukee and with a number of direct flights from a variety of different locations landing here each day it is not hard to find the flight that suits you. Flights from London are approximately 8 hours 45 minutes. Your transfers to and from the airport can be arranged through us in order to make your experience as smooth as possible. From the accommodation in Milwaukee the course is an hour away with these transfers being included in our Ryder Cup packages. Getting around Milwaukee is renowned for being particularly simple with the public transport systems being excellent with Buses and Trains running regularly. The city’s compact downtown centre means that exploring the city via walking or using one of the bicycles is an option. The Kohler Resort has 3 other courses further adding to its credential as one of the best golf tour destinations in America. In total the Irish Course, Blackwolf Run - River Course and Blackwolf Run - Meadows Course have hosted 4 US Women’s Open, 1 Palmer Cup and 3 World Golf Championships and despite not being the resort's main attraction they still hold similar accolades to the Straits making all of them fantastic options for round on a golf tour. America is home to 45% of the world’s golf courses with a number of these being ranked inside the very best across the globe. Whether you are looking to play in and around Wisconsin or wish to travel to other states, a chance to play golf in America is something every golf fanatic dreams of. From the glorious links of Pebble Beach in California to the monster resort courses in Florida the USA has something for every type of golfer. Tue, 22/09/2020 at 8:00 a.m.
Tue, 22/09/2020 at 7:00 p.m. Wed, 23/09/2020 at 8:00 a.m. Wed, 23/09/2020 at 7:00 p.m.
Thu, 24/09/2020 at 8:00 a.m.
Thu, 24/09/2020 at 7:00 p.m.
Fri, 25/09/2020 at 8:00 a.m.
Fri, 25/09/2020 at 7:00 p.m. Sat, 26/09/2020 at 8:00 a.m. Sat, 26/09/2020 at 7:00 p.m.
Sun, 27/09/2020 at 8:00 a.m.
Sun, 27/09/2020 at 7:00 p.m. 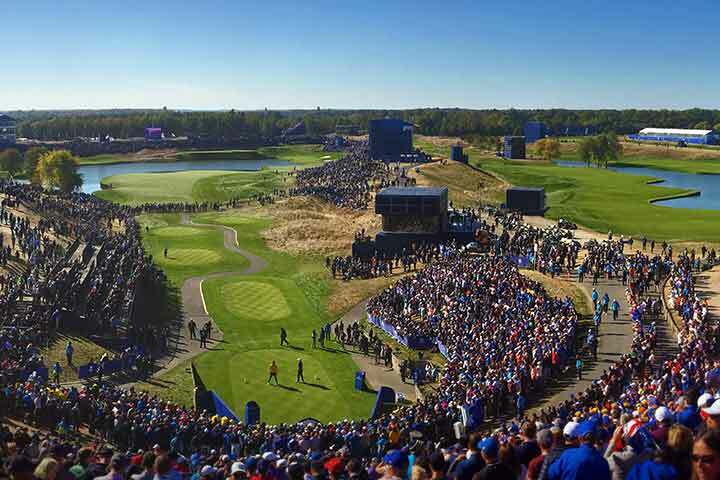 Your Golf Travel is pleased to offer a host of different hospitality upgrades as part of our Ryder Cup experiences. Whether you are seeking just to watch the matches unfold or enjoy stunning hospitality available just moments from the on-course action at Whistling Straits. Hospitality packages, including chalets, suites and reserved tables, are available. To learn more about hospitality options please mention hospitality when registering your interest.